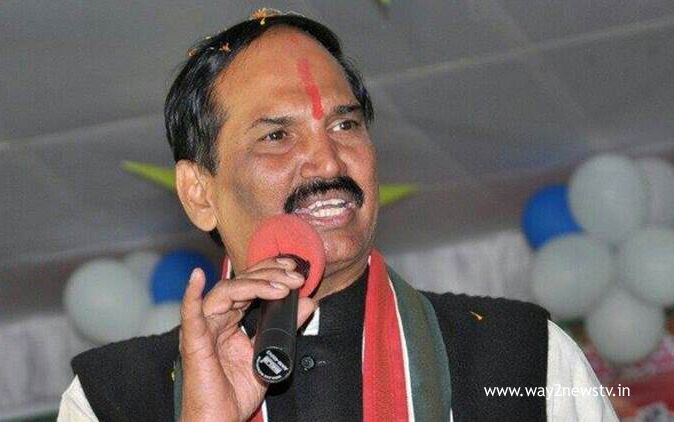 Telangana Congress Committee president Uttam Kumar Reddy said Congress party victory in Telangana in the next election. He addressed the activists in the open ceremony held on Monday at Mahabubabad district Maripeda Mandal Center as part of a public awareness campaign carried out by the Congress party for the anti-people policies and irregularities that the Telangana government has adopted. After independence, the Dornakal constituency was praised for winning the Congress party 13 times in 14 elections. Similarly, MLA candidate Ramchandra Nayak and Balaram Nayak as MP have called on the party rankings to win a strong majority as the MP. Encouraging and getting a lot of seats in the Congress party and leaving the Congress party in difficult times, the MLA Redyanayak, who joined the TRS and his daughter Kavitha, said that he would have the appropriate qualification. Uttam criticized the Redya Nayak, He joined. TRS for the protection of his land in the Outer Ring Road and the illegal black sandstone and black giant trade. KCR, who said that tribal fathers, Koyaa gudeya panchayats, the first signing of the 12 percent reservation file for the tribes, came to power and cheated them without four years. According to the Constitution, the government of TRS demanded reservation for Dalits and Dalits. When Congress comes to power, farmers will have to pay 2 lakhs rupees a day and give farmers the crops that they have cultivated. Six lakh women unions in the state will get one lakh rupees grant to each community and Rs 10 lakhs loan, and the housing pension will increase to Rs 1,000. Congress General Secretary Ramchandra Nayak, former Union Minister Balaram Nayak, Congress leader Revanth Reddy, Senior Leaders V. Hanumantha Rao, MLAs Dhonoti Madhava Reddy, Ramohan Reddy, MLCs Ponguleti Sudakar Reddy, Shabir Ali, former state ministers of the state, Vijaya Rama Rao, Ramreddy Damodar Reddy, former MLA Vem Narender Reddy, former MPs Ponnam Prabhakar, Ravindra Nayak, Mallu Ravi and others participated.